WASHINGTON—Unlike many who recently have joined the debate about gun rights, I have a long history with guns, which I proffer only in the interest of pre-empting the “elitist, liberal, swine, prostitute, blahblahblah” charge. I grew up in a home with guns, lots of them, and was taught early how to shoot, care for firearms and treat them respectfully. My father’s rules were simple: Never point a gun at someone unless you intend to shoot them; if you intend to shoot, aim to kill. By today’s standards my father would be considered a gun nut, but his sentiments were understandable in the context of his time. Like others of his generation, he had witnessed Germany’s disarming of its citizenry and the consequences thereafter. Thus, the slippery slope of which gun rights advocates speak is not without precedent or reason. But the history of gun control laws is not without contradictions and ironies that belie the current insistence that guns without controls are the ipso facto of originalist America. In fact, the federal government of our Founders made gun ownership mandatory for white males, while denying others—slaves and later freedmen—the privilege. Today, the most vociferous defenders of gun rights tend to be white, rural males who oppose any regulation. But theirs was once the ardently held position of radical African-Americans. Notably, in the 1960s, Black Panthers Bobby Seale and Huey Newton toted guns wherever they went to make a point: Blacks needed guns to protect themselves in a country that wasn’t quite ready to enforce civil rights. In one remarkable incident in May 1967, as recounted in The Atlantic by UCLA law professor Adam Winkler, 24 men and six women, all armed, ascended the California Capitol steps, read a proclamation about gun rights and proceeded inside—with their guns, which was legal at the time. The degree of one’s allegiance to principle apparently depends mainly on who is holding the gun. While black activists were adamant about their right to protect themselves, the National Rifle Association wasn’t much interested in the constitutional question until the mid-’70s when an organizational split produced a new leader, Harlon Carter, who was dedicated to advocacy and determined to dig a deep line in the Beltway sand. This still leaves open the loophole of private sales that do not require background checks, which President Obama wants to close. We will hear more about this in coming weeks, but the call meanwhile to ban assault weapons or limit magazines in the wake of the horrific mass murder of children and others at Sandy Hook Elementary School in Connecticut is hardly draconian. It won’t solve the problem of mentally disturbed people exacting weird justice from innocents, but it might limit the toll. Having to stop one’s rampage to reload rather breaks the spell, or so one would imagine. One also imagines that the old Reagan would say there’s no reason a citizen needs an assault weapon or a magazine that can destroy dozens of people in minutes. He would certainly be correct and, in a sane world, possibly even electable. 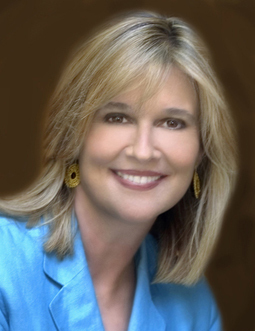 Kathleen Parker’s email address is kathleenparker@washpost.com. (c) 2013, Washington Post Writers Group.